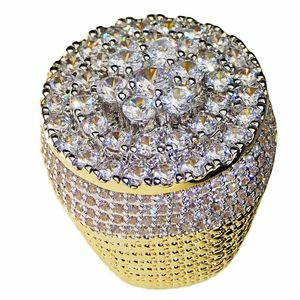 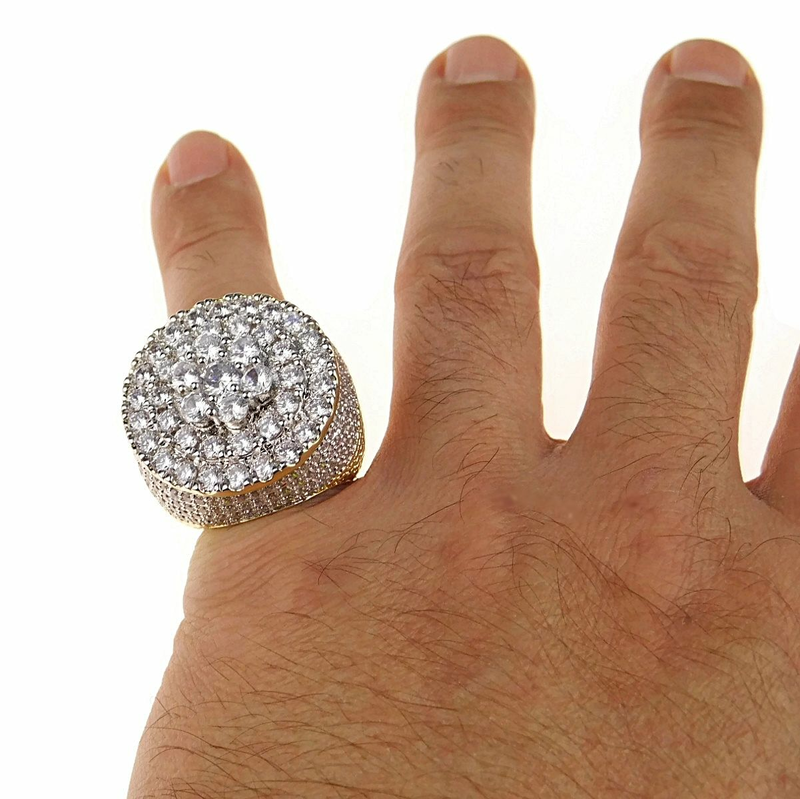 Super huge size men's Flower cluster iced-out micro pave hip hop bling ring. 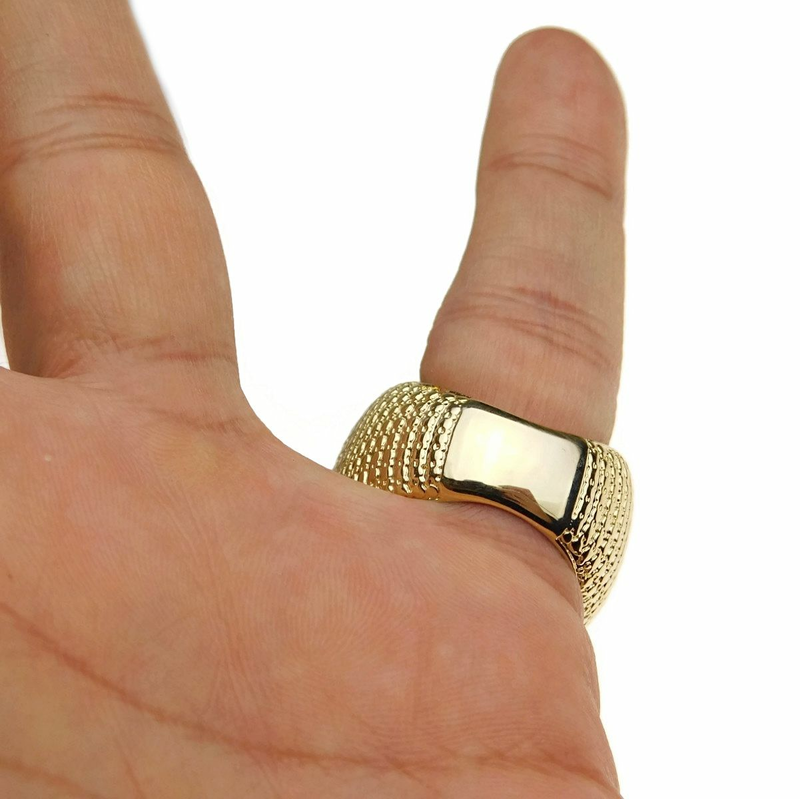 2-tone 14k gold plated /silver tone over heavy brass metal. 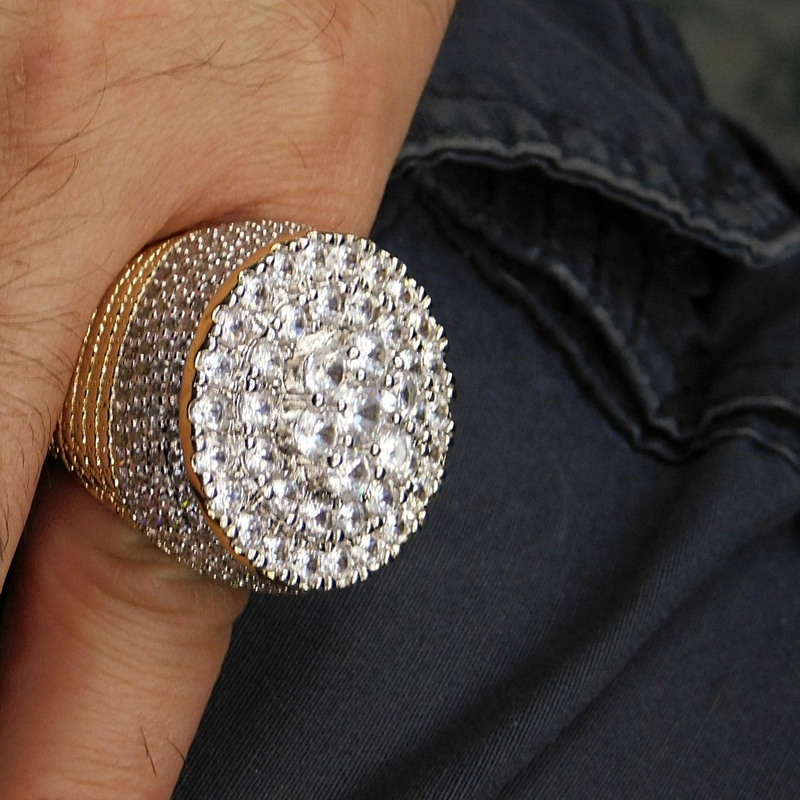 Encrusted with a multitude of CZ stones, halfway around ring. 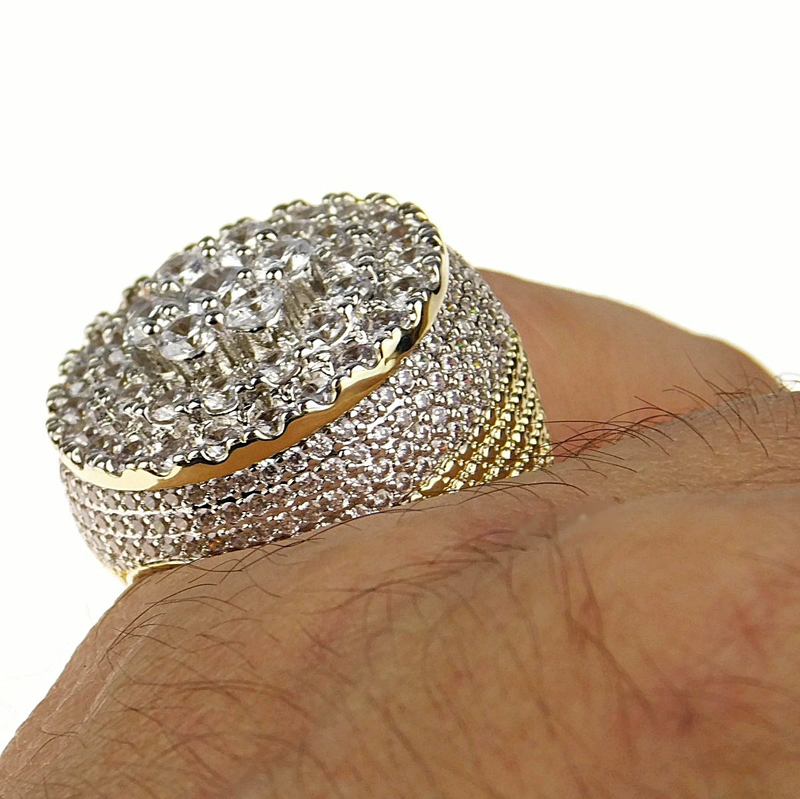 Iced-out flower design is 27MM round, 9mm wide in the back of the band. 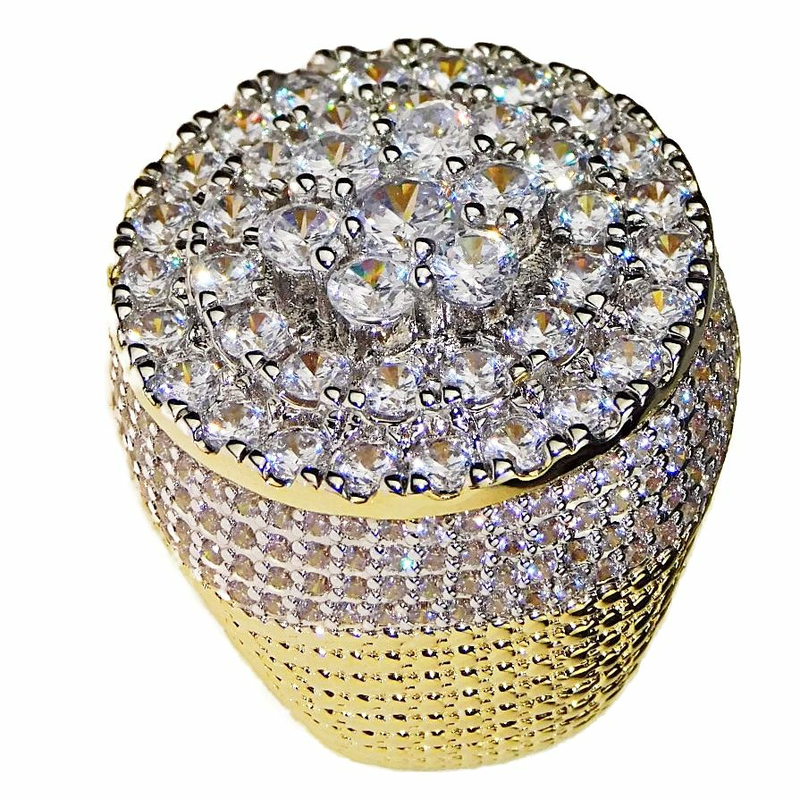 Express your bold attitude with this big flower hip hop ring that will turn heads.